Paul Cluver Wines is one of the 12 First Growths of South Africa. (Tim Atkin SA Wine Report 2017). 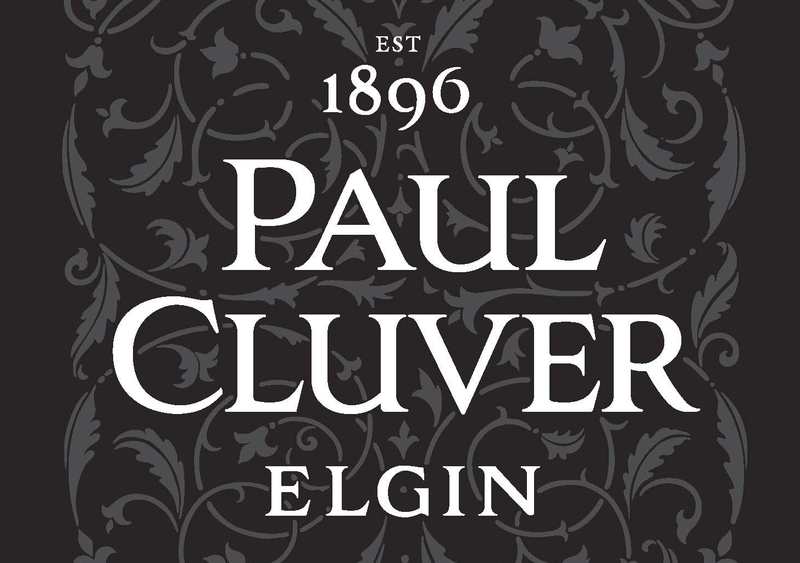 Paul Cluver is known as the pioneer of wine in Elgin. This family owned and family run estate has been instrumental in the success and recognition of this ward as a fine wine producing area. From the onset, Paul Cluver Wines has been determined to refine the art of winemaking. Through science, the most suited varieties have been planted to the most appropriate terroir sites. Through knowledge, passion and trial, the most suited winemaking methods have been applied. This focus has resulted in a range of aromatic whites and elegant Pinot noirs that has been acclaimed locally and internationally. Mindful of the environment, this wine estate is dedicated to conservation – 50% of the estate has been set aside for conservation into perpetuity. It has been awarded Biodiversity in Wine Champion status and forms part of the Kogelberg Biosphere, a World Heritage site. Awards include Drinks Business Green Awards Lifetime achievement and the Nedbank Green Award for Best Environmental Farming Practises. Mindful of social responsibility, the family has founded and continues to mentor two schools and the Thandi empowerment project. Recognition includes Drinks Business Ethical Company of the year runner up. •	First grapes were planted in Elgin by Dr Cluver in the 1985. •	The estate has been in the Cluver family since 1896. •	The estate is family-owned and family run. All the wines in the range have achieved international awards. Paul is the only son of five children. Born in Cape Town he lived on the family farm until the age of five when the family moved to Cape Town due to his father’s commitments in the medical field. He attended Jan van Riebeeck primary and secondary school. Paul spent most of his holidays working on the farm. Starting at the age of six, driving tractors and eventually working in every department from the picking teams to the workshop. After school Paul went to the University of Stellenbosch where he studied B.Sc. Horticulture and Economics. He started working on the family farm immediately after graduation, heading one of the fruit production units. Two years later he took over the financial management of the whole business. Paul then went on to study Senior Business Management at Stellenbosch Business School of Graduates and upon completion took over the general management of the business. Paul later studied for Philosophy in Value and Policy Studies at the University of Stellenbosch. Paul has also gained a lot of experience through extensive travelling. It started at school where he first went to Germany as a German exchange student. He also did his practical work for his degree in South Tirol, Italy. 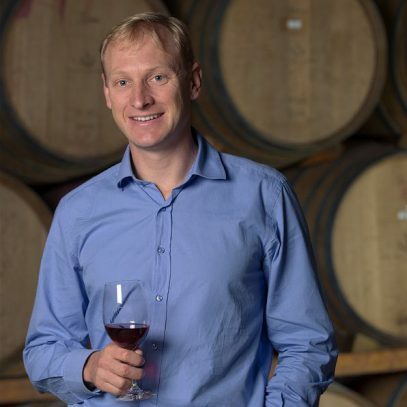 Subsequently he has travelled most of Europe and the United States as part of his role to establish Paul Cluver Wines as a premium South African Wine brand. Paul Cluver Wines is situated South East of Cape Town and lies 34⁰10’S and 19⁰06’E. The average temperature for the growing season in Elgin, South Africa (October and April) is 19.3⁰C. According to the Winkler Classification, Elgin is classified as a Region II area. The Elgin Valley is situated on an inland plateau surrounded by mountains with a very close proximity to the Atlantic Ocean. Our vineyards are planted on a variety of slopes. The coolest sites, which face South, South West and South East, are selected for the Chardonnay and Pinot noir vineyards. The altitude of our vineyards range between 300 m and 500 m above sea level and 13 km from the ocean. The most persistent wind during Summer comes from a South Easterly direction. These winds bring cold moist air off the ocean, which results in the air being pushed up the mountain, condensates and forms a cloud cover over the valley. The cloud cover has a great cooling effect and reduces the total sun light hours. Our harvest commences on average two to three weeks later than other vinicultural areas, such as Stellenbosch. A further advantage of a cool climate area, such as Elgin, is the higher diurnal temperature difference, which has been compared to other vinicultural areas in South Africa. This leads to wines with better acidity, colour development and greater fruit concentration. The lower temperatures preserve the acidity better which gives freshness, expected from a cool climate wine area. Geology, the soil on our property of consists mainly of Bokkeveld shale and Table Mountain sand stone derived from this soil. The Table Mountain sand is mainly higher on the mountains and is not used for viniculture. We plant our Chardonnay and Pinot noir vineyards in the Shale derived soil - a reddish soil, which is characterized by high mineral content and underlying clay. This gives wines its great structure and mineral concentration.